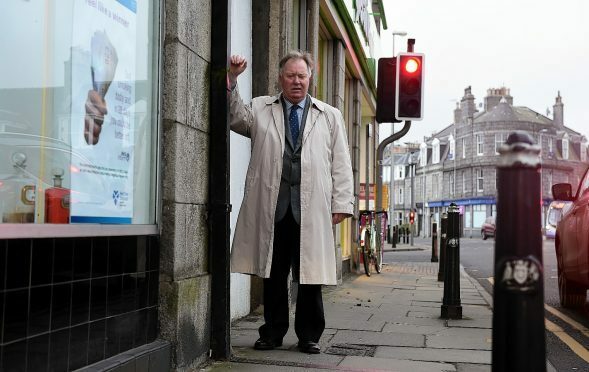 Aberdeen residents have breathed a sigh of relief after a bus firm axed an unpopular route which forced double-deckers to edge past parked cars along a one-way street. First Aberdeen yesterday announced several changes designed to improve journey times, which will take effect from Sunday, August 20. Residents in Rosemount welcomed the decision to scrap the Number 5 service as part of the shake-up, after enduring a year of worry because of the route. The service was introduced last July despite protests from people living on Mount Street and Argyll Place. They reported that their “windows would shake” each time one of the two-tier vehicles rumbled past and voiced fears about the safety of pupils at a nearby primary school. Rosemount and Midstocket councillor Bill Cormie last night hailed the bus company’s U-turn as a “victory for common sense”. He said: “The Number 3 service already covers much of that route, so the removal of the Number 5 is a great relief for everyone in Rosemount. People in Torry had previously complained that the Number 5 would be a “huge miss” for the area if withdrawn, but First Aberdeen maintains that affected communities will be served by extending other services.